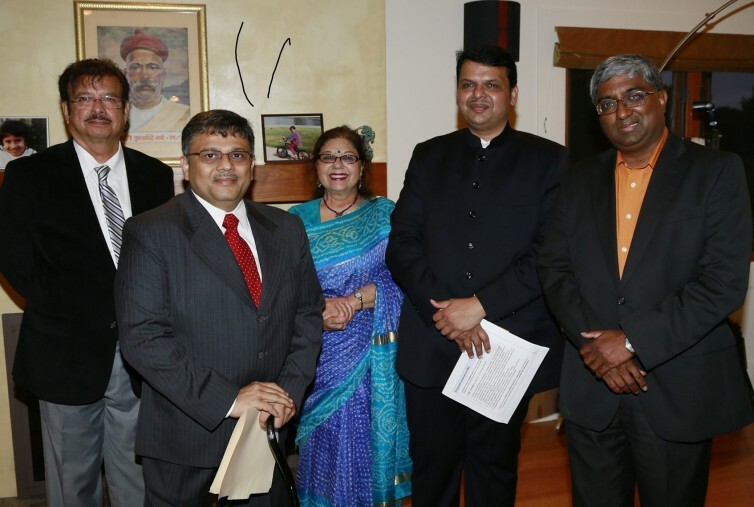 Voice of Specially Abled People team met with H’ble Chief Minister of Maharashtra, Shri Devendra Fadnavis ji during his visit to Los Angeles, California, USA at a private dinner function arranged at residence of Shri Ravi ji. VoSAP team explained opportunities in Assistive Technology sector to become Global manufacturing Hub, need to consider inclusive policies, Govt. initiatives, building codes, inclusive School education etc. Specifically, following points were shared with Shri Fadnavis ji for his attention and actions. The response of the Chief Minister, Maharashtra was positive and he took great interest into proposal points during discussions with Founder, Pranav Desai. VoSAP has large number of active volunteers and hundreds of supporters from state of Maharashtra and they are all looking forward to work with Govt. of Maharashtra for execution of these agenda items. 7. Special drive with health department on prevention of disability and related training etc.